In a controversial move, all Councils around the country have agreed to enforce policies similar to that of Christchurch’s smokefree public places policy and ban smoking in all public spaces – not just those which are outdoor dining spaces attached to eating establishments. The landmark decision is yet to be finalised and likely to be implemented by September 2019, but indications are that the only places smokers will be only be able to light up on their own properties and in designated smoking areas. The policy will no longer be a voluntary option for eating establishments, instead it will become a part of their licencing requirements. It is possible vaping will also be considered a prohibited activity under the new legislation, although this has been a divisive proposal so far. Smoking on any public footpath, road, accessway, car parking space, berm or any other space defined by the enforcing authority as being “public” will be prohibited, with the likely action for violation to be a fine. The working party putting together the joint policy, which is likely to be added to existing legislation under the LGA (Local Government Act) 2002, has yet to agree on the amount to be determined offenders will pay but it is expected the amounts will be staggered based on the number of offences, and whether the offender is a private individual or part of a business establishment or offering a service. It is expected Councils will need to hire additional enforcement officers to monitor the prohibited spaces. The additional cost of this is not yet known, but it is hoped the revenue from the fines will offset some of the costs of employing officers, with the rest of the costs likely to be offset in more detail in the LTP (Long Term Plan) rounds for the 2018 year. Should smokers get stuffed? 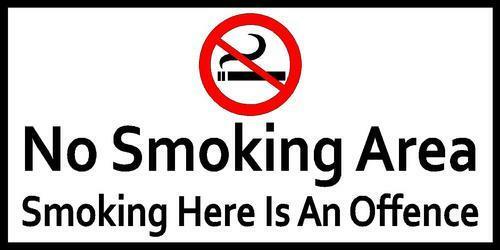 Or should smokefree policies? Tell us here or on facebook!